Julia Roberts smiles. Tom Cruise runs. Brad Pitt…well he eats. Movieclips has assembled a brief video montage of Pitt enjoying various foodstuffs and libations in movies like Steven Soderbergh’s Ocean’s trilogy, Johnny Suede, Troy, Burn After Reading, Seven, The Curious Case of Benjamin Button, Kalifornia, and The Mexican. The most time is given to Meet Joe Black, the movie best known for introducing the Grim Reaper to the joys of peanut butter. Thus a love affair for the ages was set in motion. Here at Geeks of Doom we know how hard it can be to wade through those frenzied crowds at the department stores during the holidays. We also know that Christmas time is a time where, let’s face it, we’re all spending tons of money on our friends, family, and colleagues. That’s why every day, we post about great sales on DVDs, music, video games, and more to help our readers save a buck, especially during this bank-breaking season. Hopefully, our daily Deal posts have already helped all of you get most of your holiday shopping done, but for those of you who still are on the lookout for great gift ideas, we Geeks compiled some of our favorite items to help you finish up your last-minute gift-buying. If you plan to buy these items online, we’ve also included the shipping deadlines to ensure that you get your stuff on or before Christmas Eve. 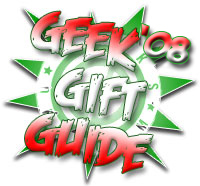 Check out our handy Geek Holiday Gift Guide ’08 below for all the coolest items this season has to offer in DVDs, music, books, comic books, video games, collectibles, electronics, and more. 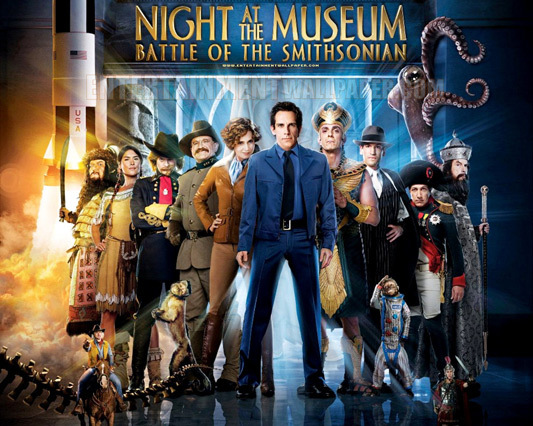 In a weekend that can only be described as “lackluster,” this week’s box office winner only walks away with the prize because, I feel, no one else really bothered to turn up to the party. Lakeview Terrace came away with the prize this week, which really just explains how bad this week must have been. A movie portraying Samuel L. Jackson as an overbearing cop hassling a pair of newlyweds (that’s all I know of the movie, by the way) should not have beaten out the animated feature Igor, but I’ll get to that in a minute. With a whopping $15.6 million, Lakeview Terrace came out on top by a pretty clear margin too, considering the next closest entry was last week’s number one, Burn After Reading, which managed only $11.3 million this week. These were the only two movies to rake in over $10 million this weekend. Number three goes to the Dane Cook/Kate Hudson comedy My Best Friend’s Girl, which managed only $8.3 million. Sadly, it looks as if the box office take seems to match up with its reviews, taking a real hit at RT with 3 out of 10 and 4.8 out of 10 at IMDB. After weeks of lackluster box office performances, and new movies struggling to make it even into the top 5, the box office reports from this past weekend show a much happier tale. All four of the movies that opened this weekend (in more than a thousand cinemas) appeared in the top four and all earned over $10 million. A much better weekend for the box office, considering last week’s top earner managed only $7.7 million. 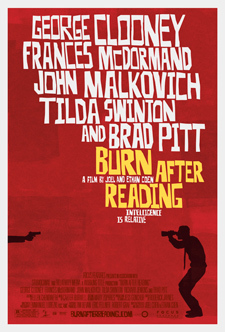 Taking the top spot was Burn After Reading, starring George Clooney, Frances McDormand, Brad Pitt, and John Malkovich coming in with $19.4 million. Tyler Perry’s The Family That Preys took second spot close behind Burn, with $18 million. Third spot went to the movie I was anticipating for this weekend, the crime thriller starring Robert De Niro and Al Pacino, Righteous Kill, coming in with $16.5 million.